The hallmark sign of this chronic syndrome is pain, either ongoing or in recurrent flare-ups, which can strike any body part at any intensity. “Some people can live with it; others can’t even work,” says Scott Zashin, MD, clinical professor at the University of Texas Southwestern Medical School. Other symptoms include fatigue, nausea, and headaches. “Nobody knows,” says Brian Walitt, MD, associate professor of medicine at Georgetown University. 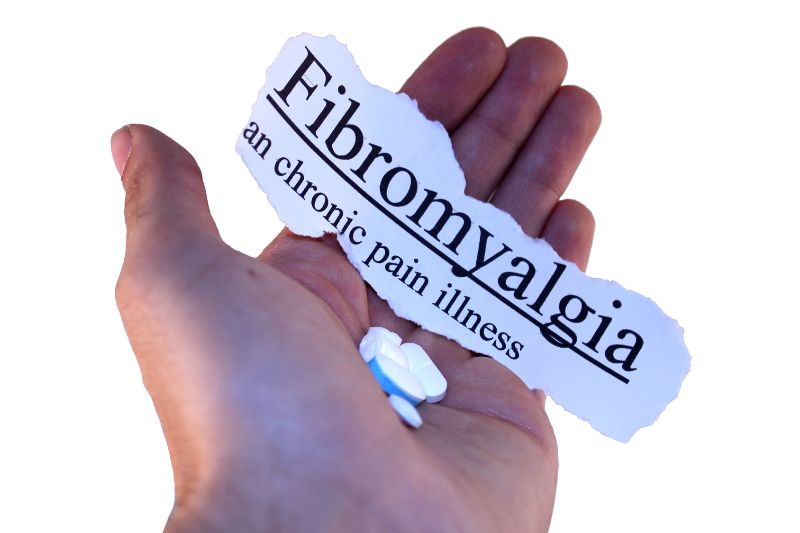 One theory is that the 2 to 4% of people who get fibromyalgia develop a sensitivity to painful stimuli, possibly due to something awry in the central nervous system. Diagnosis and finding treatments to manage symptoms can take months. Learning to be aware of and control the body’s responses(like heart rate and breathing) involved in pain perception may help reduce pain. “There’s a rate of slow breathing-different for everyone-that triggers important reflexes,” says researcher Paul Lehrer, PhD, professor of psychiatry at Robert Wood Johnson Medical School. Gaining better understanding of your thoughts and actions by talking to a therapist can ease physical as well as emotional symptoms. “ Through therapy, they learn to modify their maladaptive thoughts into more beneficial ones, reducing their response to symptoms,” says study author Dennis C. Ang MD, chief of rheumatology at Wake Forest University. It’s hard to exercise when you hurt, but researchers at Johns Hopkins University found that lifestyle physical activity(LPA) really was possible for patients and paid off in a 35% reduction in perceived pain. During the study, fibromyalgia sufferers began with 15 minutes of LPA-such as walking, gardening, vacuuming, or swimming-5 to 7 days a week, increasing their active time by 5 minutes each day, until most were getting 30 minutes or more of moderate activity daily. LPA can also be a gateway to more strenuous exercise, which Boston researchers found can improve physical functioning lessen pain, and ease depression and fatigue related to fibromyalgia. A Tufts University study fives this gentle mind-body exercise high marks for improving sleep and easing fibromyalgia’s pain and depression. Tai chi’s controlled breathing and movements promote a restful state, which may interrupt the pain cycle. This therapy may increase the activity of brain receptors that dampen pain signals, say researchers who studied the brain images of women with fibromyalgia who received acupuncture. Pain eased for all of them whether they got real or sham acupuncture, but experts claim that even the sham version may affect the brain and pain. In a 2010 study from Spain, researchers reported that participants with fibromyalgia who underwent 20 once-a-week 90-minutes sessions of a form of massage called myofascial release had noticeably less pain and anxiety. Fascia, the connective tissue that surrounds muscles and organs, tightens in people with fibromyalgia, increasing pain, but this form of massage-a slow, gliding pressure-separates tight bands of fascia, making them softer, says Nancy M. Porambo, a certified neuromuscular therapist in Jim Torpe, PA.
Reducing just a little can lessen your symptoms-and maybe prevent you form getting fibromyalgia in the first place. In a 2010 study, Norwegian researchers reported that overweight or obese women had a 60 to 70% higher risk of developing fibromyalgia than women with normal BMIs. It’s not clear why, but one theory is that elevated levels of inflammatory substaces called cytokines, common in both obese people and those with fibromyalgia, can trigger pain and heighten sensitivity to it. Lugging around extra weight may also worsen symptoms. “ Being overweight contributes to fatigue and stress on joints, which could increase pain,” explains Dr. Zashin. The good news: A pilot study found that losing just 4.4% of your body weight helps ease symptoms. Not getting enough of this mineral-found in green leafy vegetables, meat, and milk-may trigger muscle spasms and cramps. That may be why Turkish researchers found that giving women with fibromyalgia 300mg daily for 8 weeks reduced pain and tenderness. Your doc can test your levels and prescribe a supplement, if necessary.